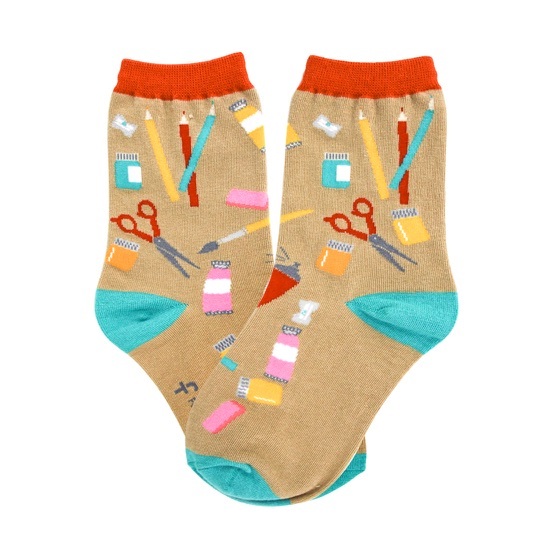 Every young budding artist needs the tools of the trade---paint, brushes, scissors, and hopefully a room to get messy! 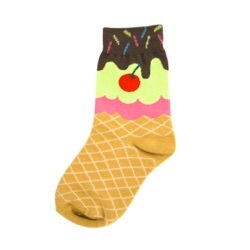 Enjoy these fun socks on craft paper colored background. 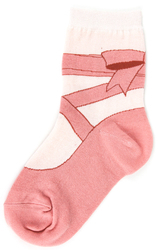 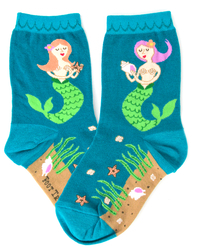 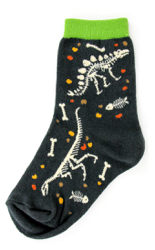 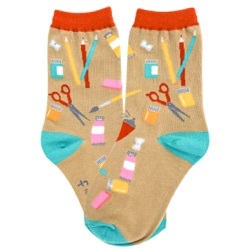 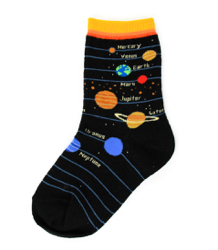 Let your little ones be creative in these fun artist inspired novelty socks.